Life Sciences week is a week-long exploration of life-changing research with a focus on women’s health, intelligent systems, and Pittsburgh’s leadership as a growing technological hub of innovation. 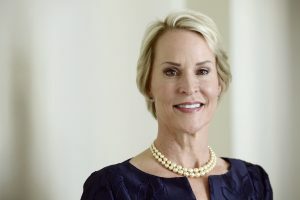 GBA is partnering with Life Sciences Pittsburgh to host Monday Night Keynote, featuring Nobel Laureate in Chemistry Dr. Frances Arnold as part of our Inspire Speakers Series. Dr. Arnold has made substantial contributions to the chemical industry through her work in developing fuels from renewable resources, non-toxic modes of agricultural pest control, and sustainable biocatalytic processes used in medicine. She holds many awards across multiple industries including a 2013 U.S. National Medal of Technology and Innovation awarded by President Obama. In 2018, she was recognized with a Nobel Prize in Chemistry. Dr. Arnold is a Pittsburgh native and graduate of Pittsburgh Public Schools and Taylor Allderdice High School. She went on to earn a B.S. in Mechanical and Aerospace Engineering from Princeton University and obtained her Ph.D. in Chemical Engineering from the University of California, Berkeley. She currently serves as the director of the Rosen Bioengineering Center at the California Institute of Technology. 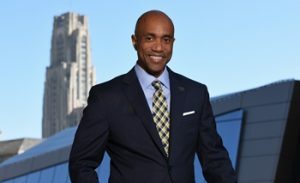 Dr. Arnold will be introduced by Dean of Engineering at the Swanson School at Pitt, Dr. James Martin II. Dr. Martin is internationally recognized for his work on improved earthquake building code standards in the central and eastern U.S.
5:30pm – Snacks and cash bar in Carnegie Music Hall foyer.